The health care environment is changing and with the shift from volume to value reimbursement is increasingly being tied to measures of outcomes, safety, and patient experience. The patient experience is central to success in new reimbursement models, and patient engagement has been shown to be a critical risk reduction tool. UMIA has created a robust two pronged approach to evaluating both patient experience and the related topic of clinical effectiveness by introducing the Physician Empowerment Suite©. This cost-effective, specialty-specific tool offers valuable patient feedback in real time – giving you a clear picture of where you’re excelling, where you and your staff can optimize performance, and how you stack up against other providers and practices. With our Patient Experience Platform, you’ll be able to compare physicians and locations, benchmark against other practices nationally, and receive monthly report cards, including patients’ written comments. Are you explaining things well to your patients? Would they recommend your practice? Did your checkout staff make the patient feel respected? Was it easy to make an appointment? Create a simple file from your EMR, which is securely up loaded each week. Patients receive an email survey that takes only 5 minutes to complete. 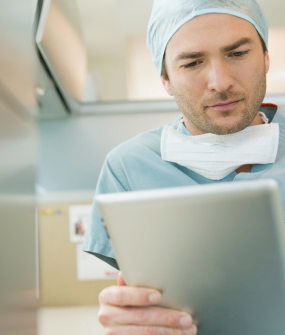 Log in to your Patient Experience Dashboard to view real-time metrics. You’ll get instant answers from specialty-specific surveys, make lasting improvements, and maximize your earnings. The Clinical Effectiveness Assessment is a specialty-specific tool that helps you measure and improve your value. With it, you can measure your clinical best practices, outcomes, patient engagement, and patient safety to positively impact your patients’ quality and safety. These measures are critical components in pay-for-value reimbursement contracts. Do you see your patients prior to surgery and “sign” the surgical site with the patient? Do you routinely administer prophylactic antibiotic within one hour of skin incision? What’s your adenoma detection rate? With our innovative specialty-specific Clinical Effectiveness Platform, you’ll have the data you need to know exactly where performance and quality standards can be optimized throughout your organization. The Clinical Effectiveness Platform is linked directly to our Performance Improvement Tools, providing seamless integration. Low component scores in your survey will automatically provide a link to relevant performance improvement learning tools, offering you immediate opportunities to optimize performance and reduce your risk. Enhancing your performance is more important than ever as pay-for-performance reimbursement models become the new norm. UMIA’s Performance Improvement Tools were developed by nationally renowned clinicians and thought leaders in health care in collaboration with George Washington University.